The two wide-angle views shown one after the other in this animation come from Spirit's rear hazard-avoidance camera. 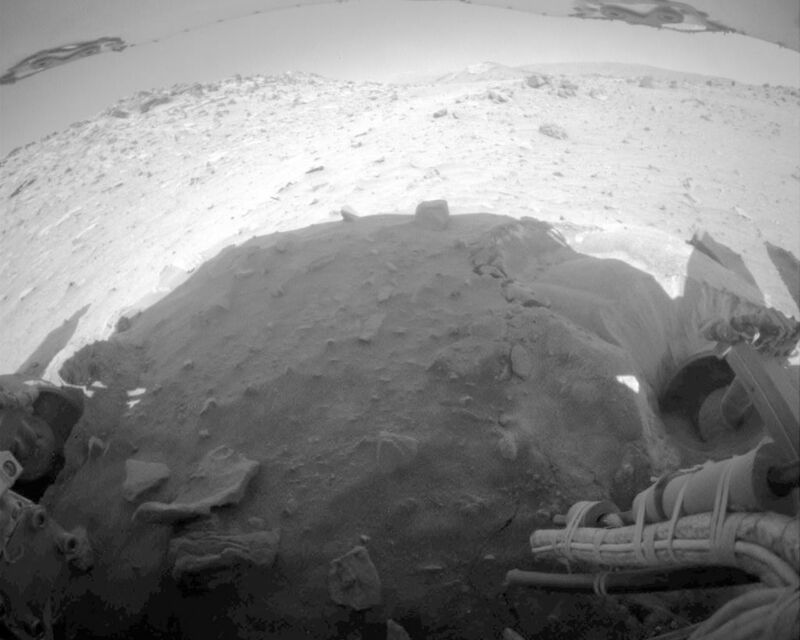 One was taken at the end of the previous drive (two days earlier) and thus shows the scene prior to the Sol 2147 drive. 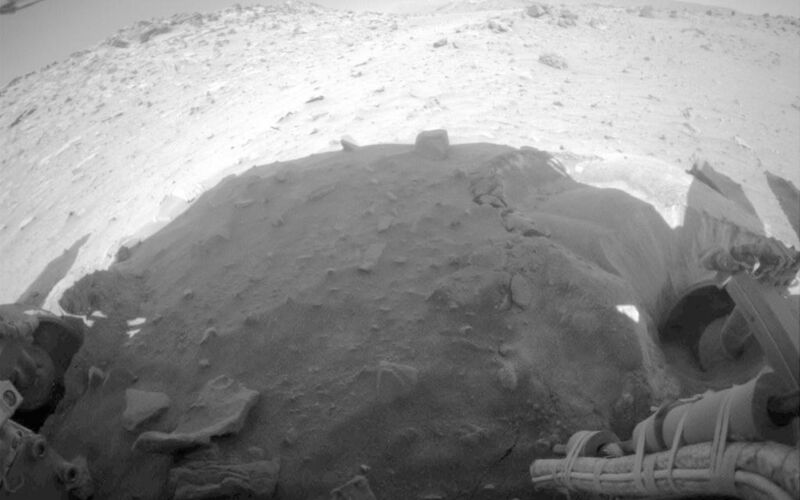 The other was taken after the Sol 2147 drive. Visible changes from the first to the second, as a result of the rover's motion, include the landscape appearing to shift to the right and the forground rocks near the bottom of the image appearing to come closer. 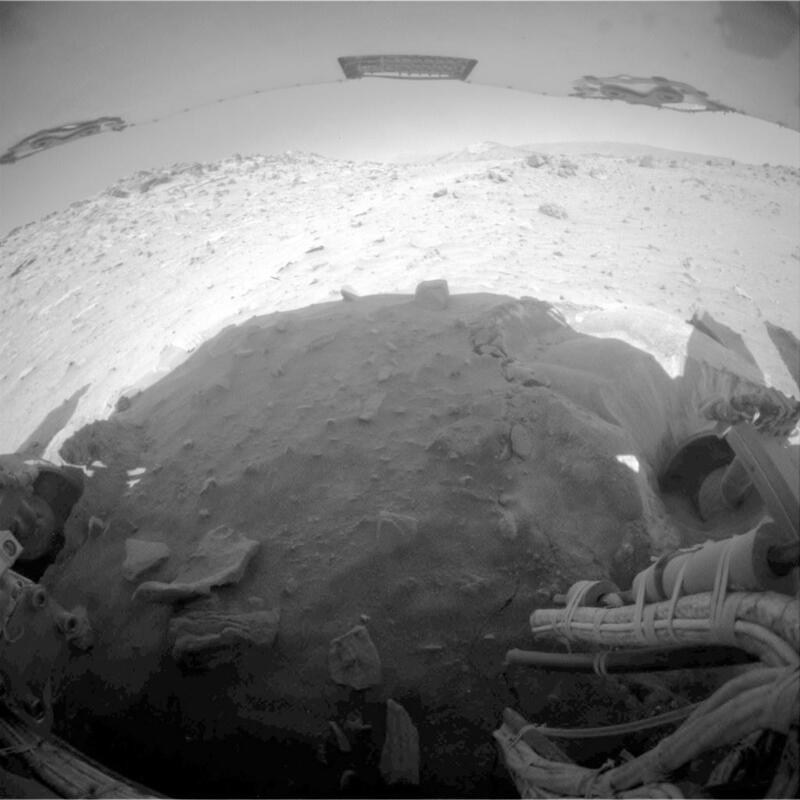 The view is to the south, looking at and beyond Spirit's rear wheels, with the bottom surface of a solar panel at the top of the image. During this drive, Spirit moved about 3.5 centimeters (1.4 inches) southward and yawed slightly counterclockwise. Neither the right-rear wheel (at the left in this view) nor the right-front wheel can contribute to driving. 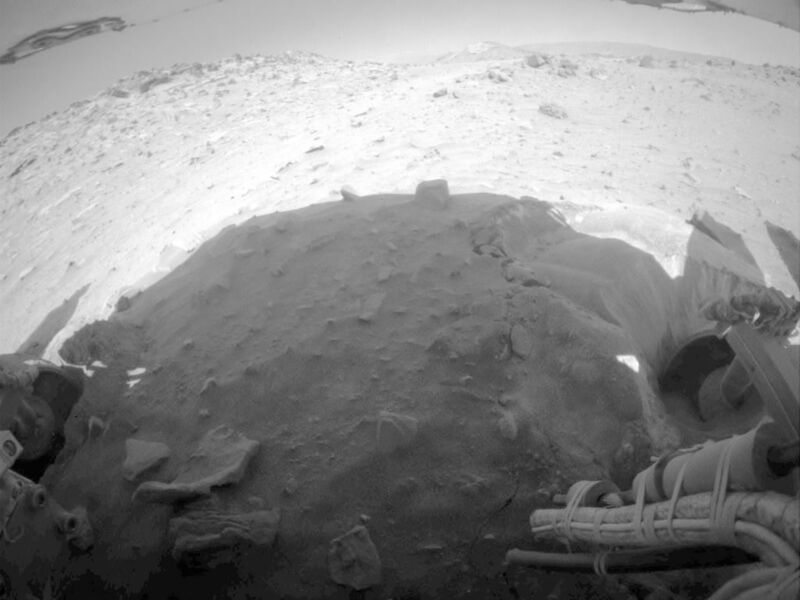 The rover team began commanding extrication drives in November after months of Earthbound testing and analysis to develop a strategy for attempting to drive Spirit out of this soft-soil site, called "Troy." The extrication drives have made little progress and the probability of getting Spirit out of the sand trap is low. To see updates on the efforts to free the Spirit rover, visit the JPL Free Spirit website.